Spherical roller bearings are also known as self-aligning roller bearings. They have two rows of rollers, a common sphere outer ring raceway and two inner ring raceways inclined at an angle to the bearings axis. The center point of the sphere in the outer ring raceway is at the bearings axis. Therefore, the bearings are self-aligning and insensitive to misalignment of the shaft relative to the housing, which can be caused, for example, by shaft deflection. 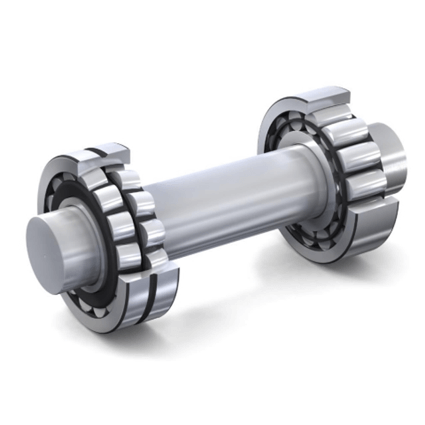 Self-aligning or spherical roller bearings are designed to accommodate heavy radial loads, as well as heavy axial loads in both directions.